Coalition Prompt 4: What is the hardest part of being a teenager now? What’s the best part? What advice would you give a younger sibling or friend (assuming they would listen to you)? When I first read through the five prompts students have to choose from to write their one personal statement essay for the new Coalition for Access, Affordability and Success application, this one popped out at me. I bet it did the same for you. So you need to write your core essay for the new Coalition for Access, Affordability and Success application. I assume you’ve already scanned the five Coalition for Access prompts you have to choose from to write your personal statement (an essay about yourself). If you’re using the new Coalition for Access, Affordability and Success to apply to one or more colleges for 2016-17, you need to write a core essay that responds to one of their five prompts. First, I encourage you to read through the five prompts and see if one appeals to you or sparks any ideas. If you are using the new Coalition for Access, Affordability and Success to apply to college for 2016-17, you first need to check if the college or university you want to attend requires essays. Some will require you to write the main general essay, and others might only require you write their shorter, additional essays specifically for individual schools, which are called supplemental essays. 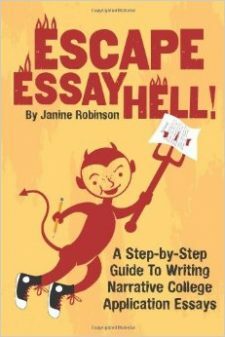 A few might not want any essays. It’s up to you to figure out what each school wants from you, something you can find out on the Coalition for Access web site. If they require you write the main Coalition essay, there’s good news! If you are like most of us, you either have never heard of this Coalition for Access, Affordability and Success application, or you are still waiting to learn how to use it. Or you are wondering if it even matters at this point.